sometimes mine will stop cutting halfway through the job...i have wasted so much paper because of this...is there a fix for that? There's been another Firmware update for the Personal since I wrote this tutorial. The firmware should now be at 1.45. Have you updated the personal to that yet? 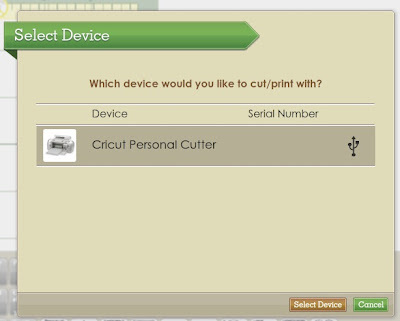 Thank you so much I could update my Cricut Personal from v1.31 to v1.45 now I can use the CCR with my laptop. I am in a loop to add my name and email over and over. Do I have an account set up or not? When I tried to put in a user I'd. It says to put in my name, what am I doing wrong?